INVESTMENTS IN SCALABLE PRODUCTS ARE STARTING TO PAY OFF – GROSS PROFIT GROWS MORE THAN PERSONNEL COSTS. 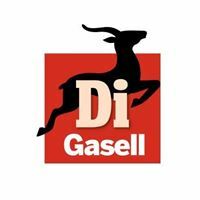 For the sixth time since 2011, Nepa Sweden was recognized as a Gazelle company by Dagens Industri, Sweden’s largest daily business newspaper. Nepa is still one of the 0.5 percent fastest growing companies in Sweden. Nepa Finland was appointed “Achiever 2017" by Finland's largest business newspaper Kauppalehti. Nepa Finland is in top 1 percent with regards to growth and only 4 percent of Finnish companies manage to meet the full criteria and get Achiever status. In March, industry veteran Matt Nitzberg joined Nepa USA in the role of CCO, Chief Client Officer, and thereby substantially strengthening the US sales organization. 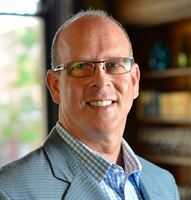 Matt was instrumental in growing sales of dunnhumby USA. Matt will be based in Cincinatti, Ohio, broadening our representation in the USA to include offices in New York, New Jersey, Denver, Miami, and Cincinnati. Improved scalability through investments in the product platform ActionHub®. Continued growth through investments in our rapidly growing business in the UK, establishing Nepa in the USA, the world’s largest market, and continued growth in Sweden, Denmark, Finland, India and Norway. Closed-loop-feedback, allowing store managers and department heads to immediately act when customers have experienced a negative interaction with the company. Real-time dashboard, allowing the user to follow and analyze customer experience in real time. In the spring of 2017, Nepa became the first non-USA headquartered partner to Facebook in marketing mix modelling. This co-operation allows Nepa to help our clients optimize their investment on Facebook and its affiliates using data at an aggregate level (never on an individual). Both data and processes are fully GDPR compliant. Nepa has always been committed to transparency in the way data is collected and analyzed on behalf of our clients. We welcome the increased control that EU’s data protection regulation GDPR brings to customers and the responsibilities we have as processors and managers of data - we always hold ourselves to the highest standards. We are now seeing the first results of an increased scalability. While we invested in personnel last year to develop products and enhance sales, the increase in costs decreased each quarter of 2017, from 40 percent in the first quarter to 16 percent in the fourth quarter. At the same time, we show a steadily increased gross profit, surpassing the increase in personnel costs during the fourth quarter and amounted to 18.4 percent – a trend we expect to continue in 2018. We grew the business in the fourth quarter for the forty-seventh quarter in a row. Gross profit grew by 15.4 percent for the full year of 2017. Earnings before interest and tax amounted to MSEK 0.9 in the fourth quarter and MSEK -19.8 for the full year. In the US, Ken Peterson became MD for Nepa USA in May 2017 and signed our first client in August of the same year. 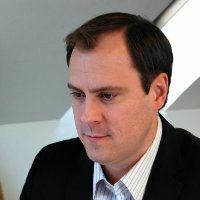 In March of 2018, Matt Nitzberg became Chief Client Office in the USA. Matt has previously helped several large companies drive growth, e.g. as one of the first members of dunnhumby’s US management where he was instrumental for the sales growth. 2017 was the first full year for Lindsay Parry in the role of MD for Nepa UK. The business has shown a very strong growth and among other things has started a co-operation with one of the world’s largest CPG companies. On our home market Sweden, Nepa was awarded the ”Gazelle Award” for the sixth time. At the same time, Nepa Finland was given the ”Achievers Award 2017”. We see a strong growth on all markets. The fact that we in 2017 managed to reach our goals for scalability and growth in the UK and the USA and at the same time show a continued growth with increasing margins in our home market Sweden puts us in a good position for 2018. Finally, I would like to say a thank you for an amazing year to all employees at Nepa and to our clients, partners, and shareholders. We now look forward to continuing an exciting 2018. Nepa is one of the fastest growing companies in Swedish history, enabling organisations to improve their business performance by becoming customer centric at their fingertips. By merging behavioural data with customer feedback data in our Consumer Science platform, our clients can turn the voice and the footprints of the consumer into financial KPI’s and provide it to the right stakeholder in real-time. Headquartered in Stockholm and with local presence in Finland, Norway, Denmark, UK, US, India and Sweden, we help some of the world's most reputable brands in more than 50 countries to get more effect out of their marketing and sales. Nepa has been awarded DI Gasell's award for organic fast growing companies in 6 of 7 years since 2011.